This engaging and technically accomplished portrait has recently been attributed to the leading Bath artist William Hoare. 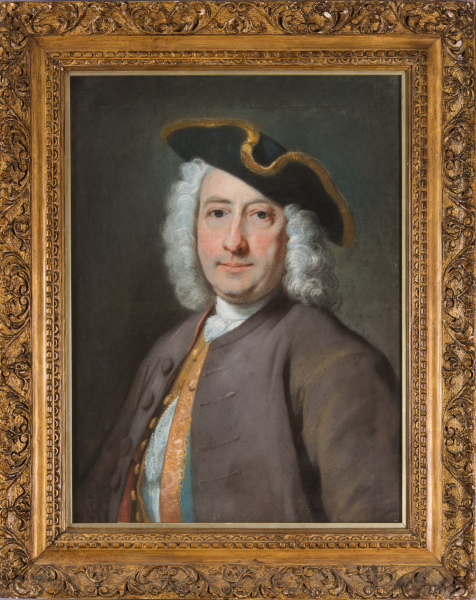 In 1770, a visitor to his studio in Edgar Buildings described Hoare as ‘the best crayon painter in the Kingdom’, adding: ‘I can form no higher Idea of that Art, either as to Delicacy, Colouring or expression than what I saw in his Pictures’. We know nothing of the sitter. 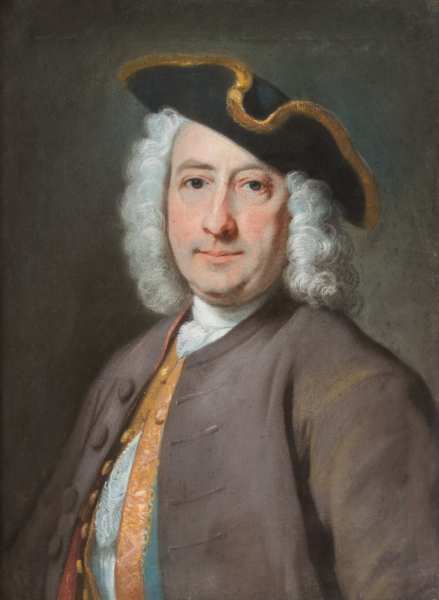 Judging by the unusually jaunty angle of his hat and the way he turns to face the viewer with a slight smile, ‘Mr Hall’ was a likeable character, perhaps a visitor to Bath.